Mneneon was born with a set of birthmarks all over his right hand and arm that sort of look like an imaginary world’s map. 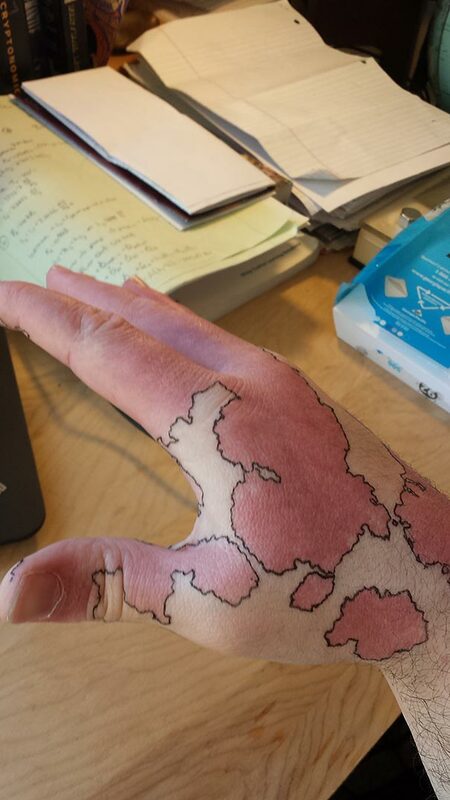 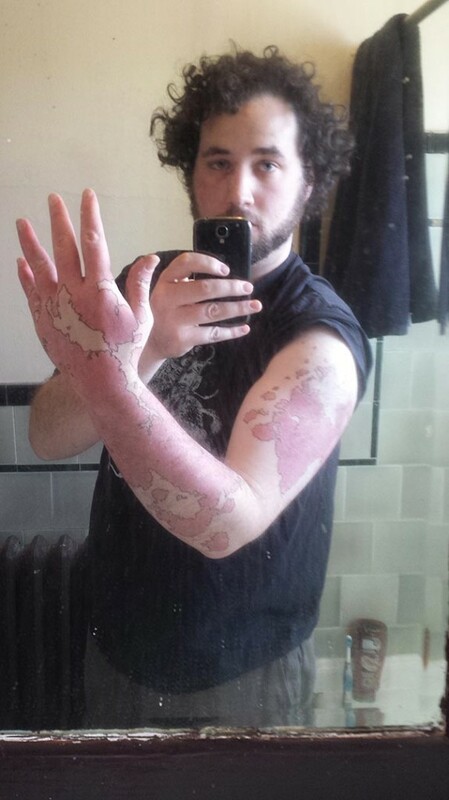 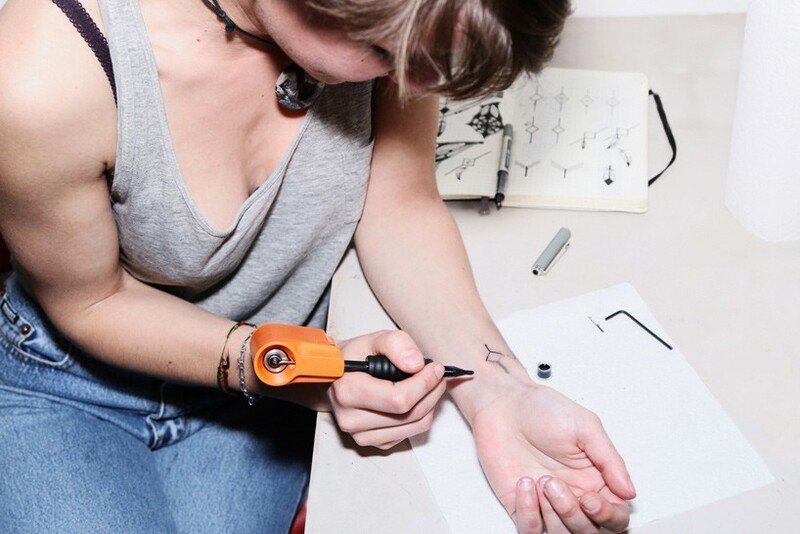 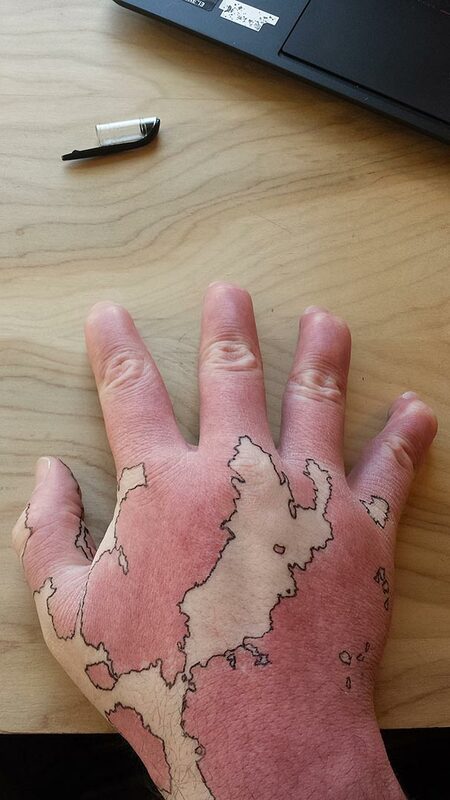 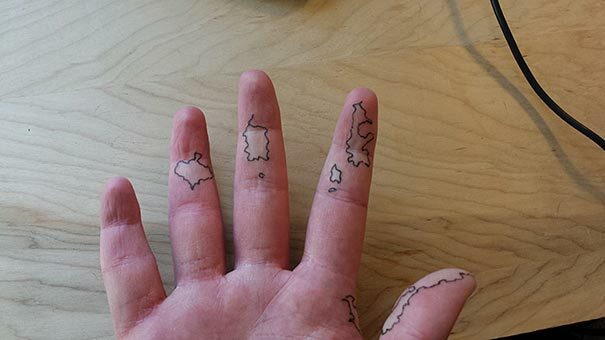 The mathematician/engineer, who is a reddit user, saw the potential and grabbed a black pen and outlined all the red patches on his skin gradually turning his entire arm into a map of large landmasses, islands and big bodies of water. 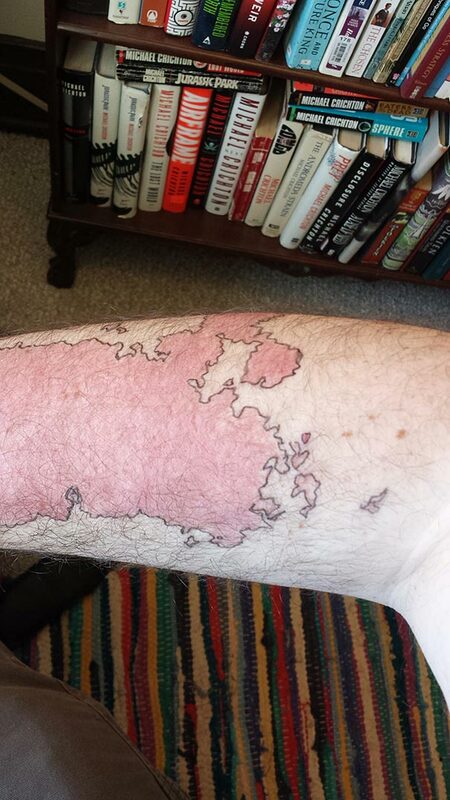 It only takes a little bit of imagination to picture a whole fantastic world and tales developing onto Mneneon’s “birthmap”. 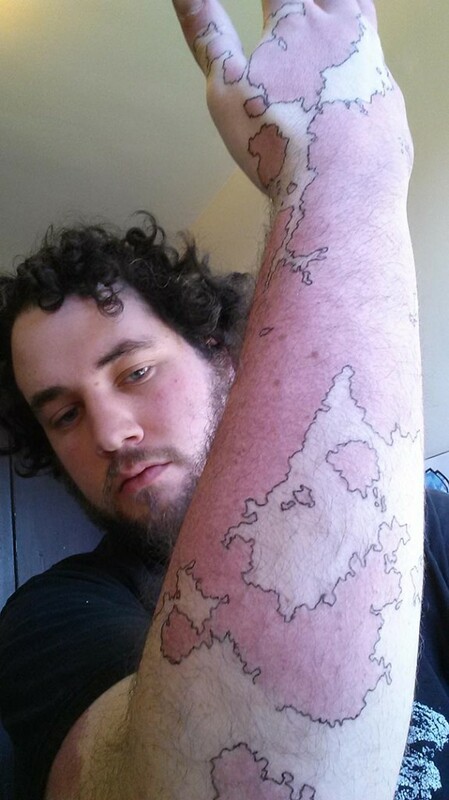 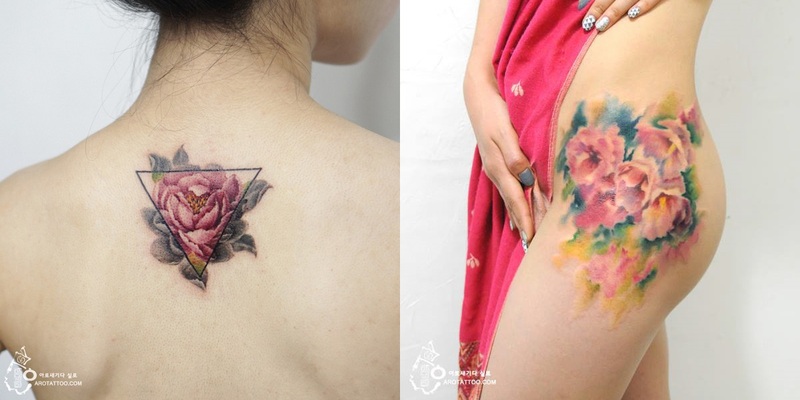 Naturally, everybody tries to convince him to have the map tattooed and when the reddit user was asked whether he is considering to go for it, he answered “Yep! 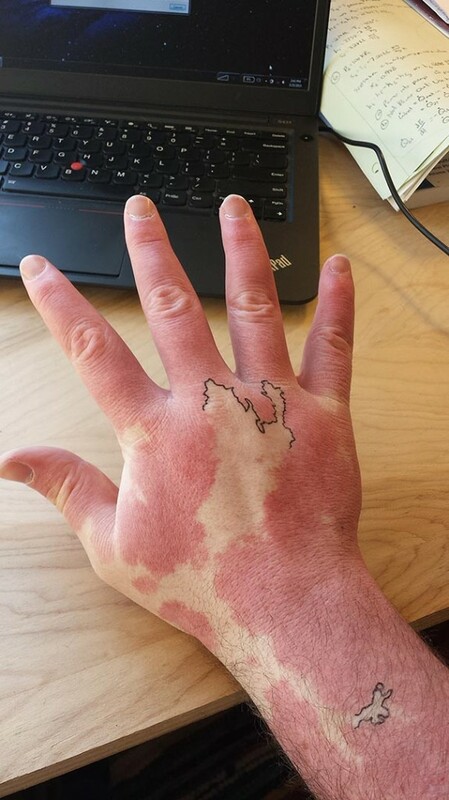 But I always found [the birthmarks] a cool thing on its own, and I wanted no one to doubt that it was something I was born with and accepted, rather than decided upon later”. 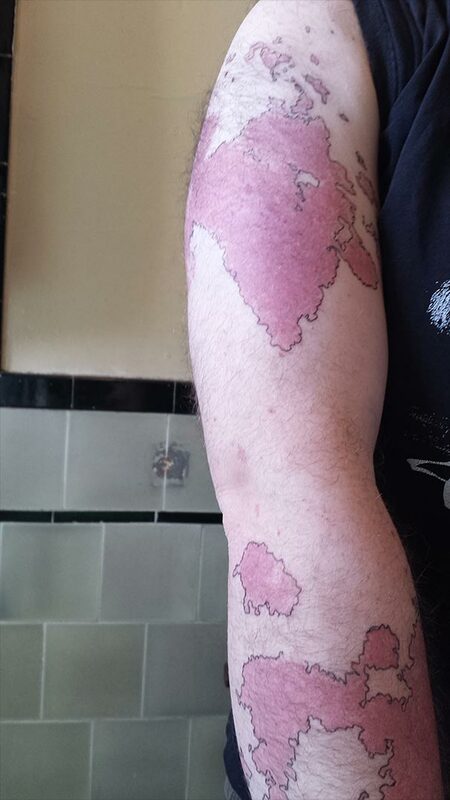 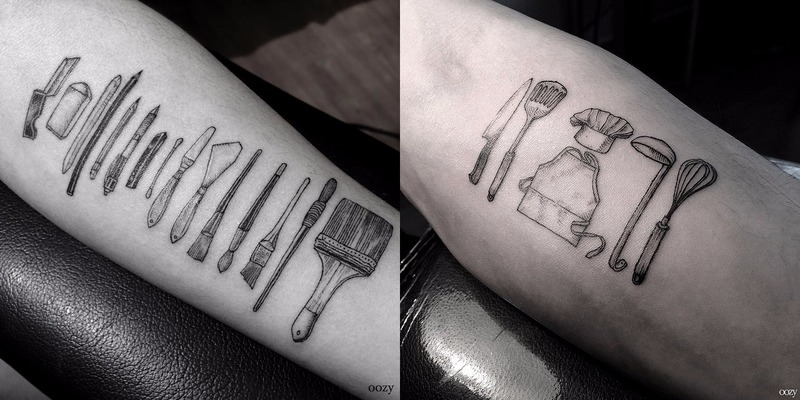 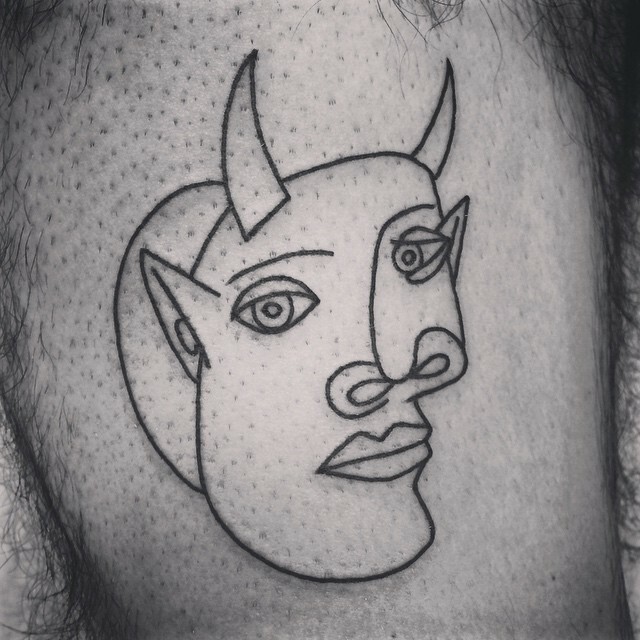 Mneneon added that if he actually does it he will rather have the map tattooed on his left arm and hand to match the birthmarks on his right one. 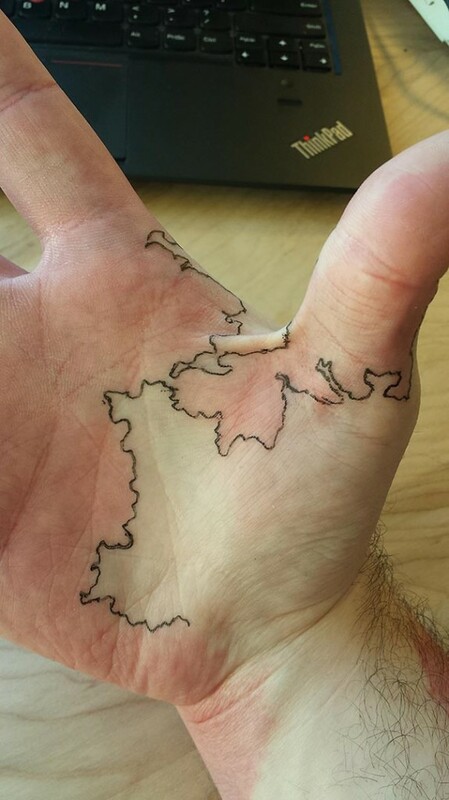 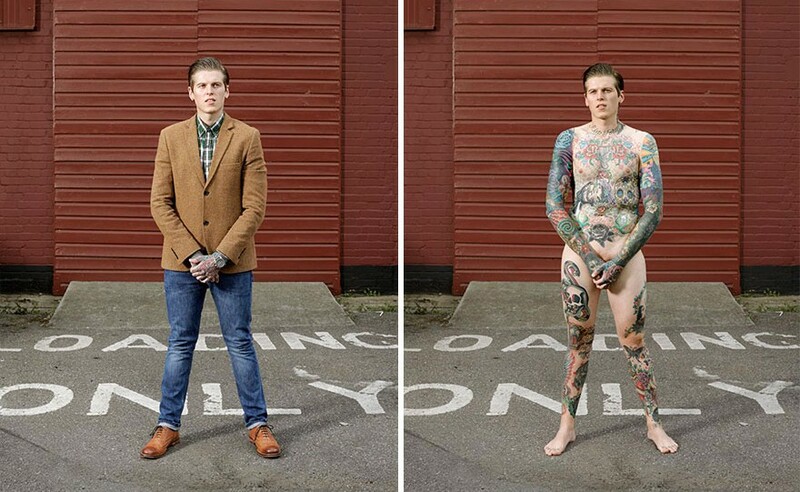 Now, how cool is that?